pixillion,image converter,jpg converter,convert jpg pdf,nef to jpg converter,image batch conversion,resize image for mac,raw ton the web, emailing to friends, or storing on your mobile phone. Convert or compress multiple photos at once with batch conversion. 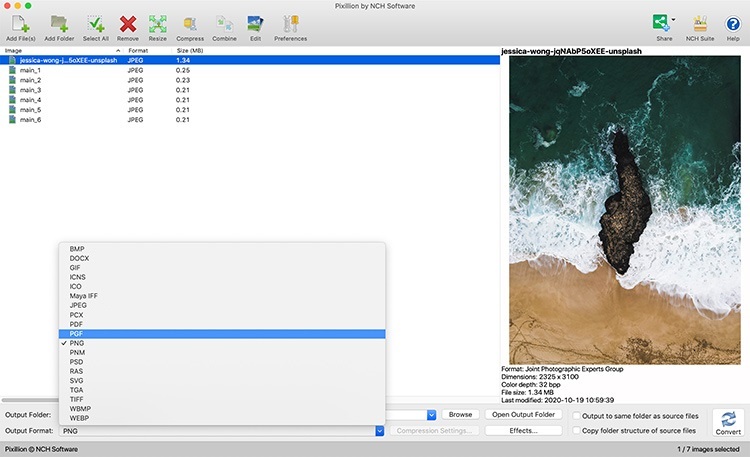 Pixillion is a JPEG and image file format conversion software for Mac. Pixillion Image Converter Software Plus can convert files from and to JPEG and other file formats like gif, tiff, png, pdf and more. Before converting your file Pixillion allows you to view the image within the application as well as displaying the current file parameters. With Pixillion you can quickly and easily convert your image files into JPEG or other image file formats you may need to host on web sites, reduce file size for sending via email or storing on a CD. file formats like gif, tiff, png, pdf and more.